also it looks like the winder is going rusty, is this something i should get professionally sorted? 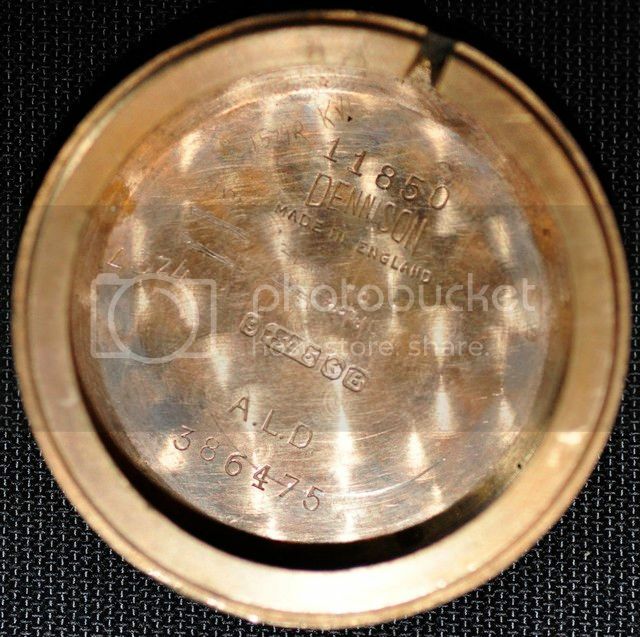 The expandable bracelet could be original, but throw it away - they are real dirt catchers, and more critically the steel ends are harder than the gold case so they end up damaging the case. Plus they pull the hairs on my arms! Dear @kaz1337, may I be so bold as to recommend my own article entitled, "Marvin Watches," which you will find in my Honour's Topics section of the Forum? The topic was posted on 2 February 2017. 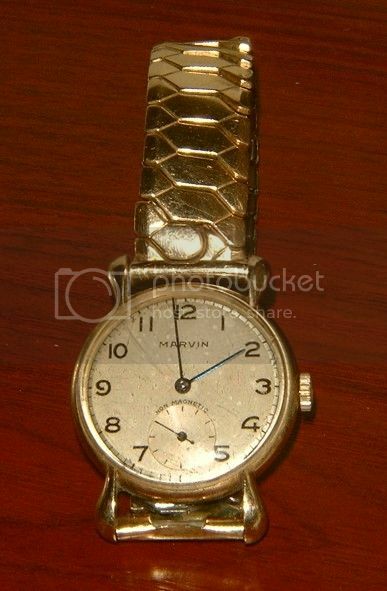 With specific regard to your own Marvin watch, the hallmarks on the caseback give you a good indication of the date of the watch, and your pictures confirm in my own mind that your Marvin timepiece dates to the early 1950s. Kaz, that is a lovely vintage piece. 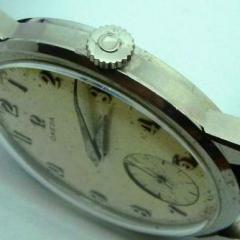 I have learnt quite a lot of things from this forum over the past few months - some of them to do with watches. 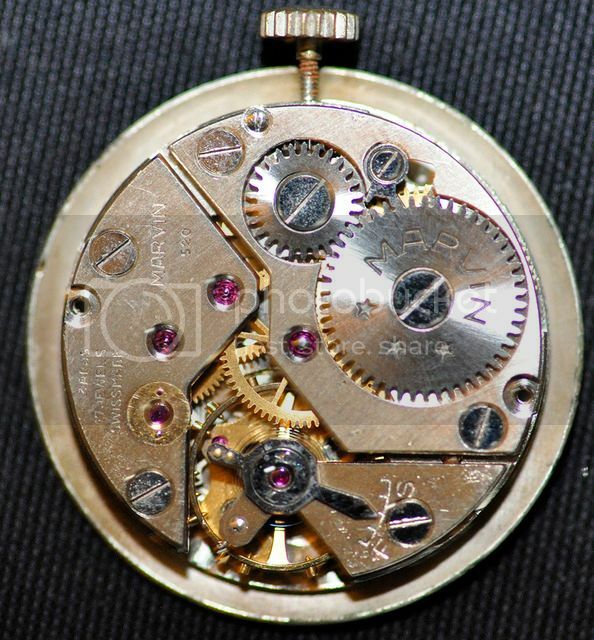 This is one of those things - watch repairers would typically scratch something onto the caseback when they serviced or repaired a watch. That way they would have some kind of an audit trail. Sadly there is no common convention for what is scratched, so unless you are the watch repairer, you cannot learn anything of any use. My dear @kaz1337, I believe that I am the author of the article you have just read about Marvin watches, and I smiled when I spotted your easy-to-make mistake. The moniker, "Tourbillon," accorded to me is one of the Forum terms used to reveal our status in terms of how many posts we have put on the Forum. My actual user-name is Always"watching" and my real first name is Honour. No, it's not all that clear, is it? Its a lot more obvious now you've pointed it out to me Always "Watching"